Nuvyyo is re-inventing the live TV experience for Cord Cutters. Recognized by Forbes as one of the top ten companies reinventing the TV industry, Nuvyyo is a growing consumer electronics and app development company based in Ottawa, Ontario. Founded in 2010, we are leading innovation in the Over-The-Air TV industry in both the US and Canada. Building on our first mobile media streaming system, in 2014 we launched Tablo, a DVR that targets the fast-growing cord cutting consumer market. Tablo is the only Whole-Home OTA DVR system that combines the functionality of a DVR with the convenience and mobility of software apps for smartphones, tablets, computers, streaming set-top-boxes, and internet-connected gaming platforms. 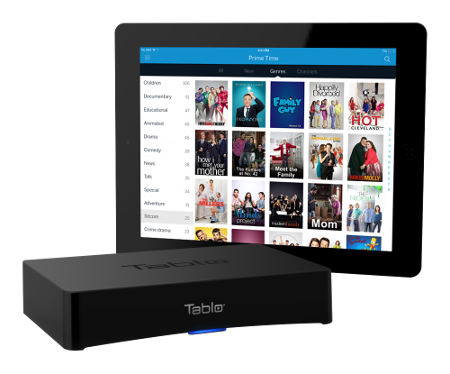 Tablo makes it easy to discover, watch and record free over-the-air (OTA) HDTV anywhere, anytime, on any device. For more information, visit www.tablotv.com. Great things are coming from Nuvyyo. Stay tuned! Our Vision: Free HD TV… Your Way. Grant brings 25 years’ experience in telecommunications; with senior roles in Product Management, Marketing and Sales including: Leader Global Video Solutions Marketing Nortel; AVP Canadian Marketing Alcatel; AVP Product Marketing Alcatel. Steve is a Professional Chartered Accountant with extensive experience in the start-up and growth of both venture capital-funded and bootstrap-funded companies in the Ottawa area. Kevin has launched over 80 new IT products into the retail and e-tail marketplace; grew client annual sales revenues exceeding $100M annually (Including the launch of Kobo books in to the US). Renata brings over 15 years of experience developing and executing marketing strategies, plans and budgets that drive bottom line revenue through corporate communications, investor relations, lead generation, branding and channel development. Build your future with Nuvyyo. Nuvyyo is a successful young technology company that is re-inventing the home media experience for the post-PC era. Launched in 2010, Nuvyyo empowers consumers to mobilize their home media, allowing them to enjoy movies, TV shows, music and photos from their home network and live HD TV on their mobile device regardless of where they roam. Nuvyyo’s latest development targets the growing trend to “cord cutting” that enables consumers to save thousands of dollars by eliminating pay TV and replacing it with free Over The Air (OTA) HD TV and internet video from companies like Netflix and Hulu. We’re looking for exceptional people to join our growing team, so if you’re passionate about technology and interested in joining a great group of people, please contact us today. We are currently seeking a Customer Support Specialist, Logistics Operations Specialist and a VP of Engineering. Not the opportunity for you? That’s okay, we welcome you to email your resumé to us so we may keep your information on file for future opportunities best-suited to your skills. Tablo — Unleash Your HDTV. Launched in 2014, Tablo is a "DVR for HDTV antennas" that enables consumers to save thousands of dollars by cancelling expensive cable and satellite TV contracts and replacing them with free Over-The-Air (OTA) HDTV and internet video from companies like Netflix and Hulu. 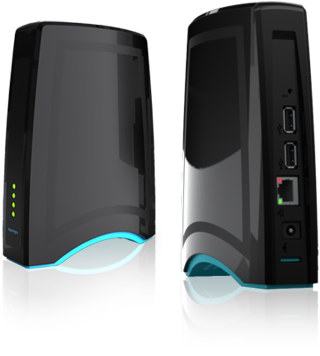 JetStreamHD — Mobilize your media. Launched in 2010, JetStreamHD empowers consumers to mobilize their home media allowing them to enjoy movies, TV shows, music and photos from their home network and on their mobile device regardless of where they roam. Comments/questions/ideas? We’d love to hear from you.